Universal Studios Japan just announced a new temporary attraction opening up for the summer of 2013. The mega-popular Resident Evil video game will come to life in a haunted maze based on the series. The Palace Theater in the park will get a makeover to look like the streets of New York at night infested by zombies. 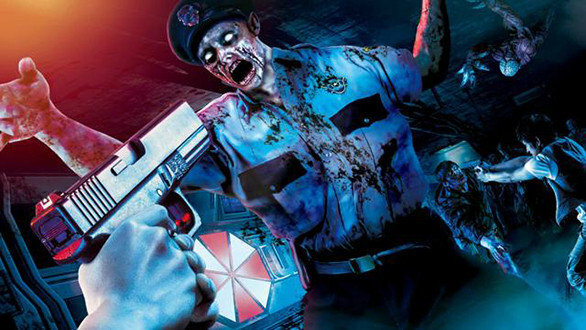 In Resident Evil The Real guests will be armed with handguns that are equipped with “limited ammo” as they maneuver their way through streets filled with the undead. With a small amount of time to kill a whole lot of live actor zombies, shooters will also wear a “contagion meter” which will show their viral infection level. According to the news release, after the ten minute experience, you will have zero chances of making it out uninfected. While this is a first of it’s kind attraction in a theme park, in reality it’s rather tame and extremely controlled. You know going in that this is a theme park, there are hundreds of people going through this a day and after ten minutes? You’re back in the park with all the comforts of roller coasters, cartoon characters and turkey legs. What if all of those comforts were thrown out the window? How crazy would it be to be able to explore an entire open space where you choose where to go, there are no safe zones and rather than taking ten minutes to experience, you are covering tons of ground in an adventure that takes literally hours to complete? We love theme parks here at TPU, but certain themed entertainment can’t be contained within a gated park and turnstiles. Today we look at two companies who are pioneering new horror attractions – both with a unique take on a world contaminated by a virus, infected zombies are coming for you and survival is the only option. 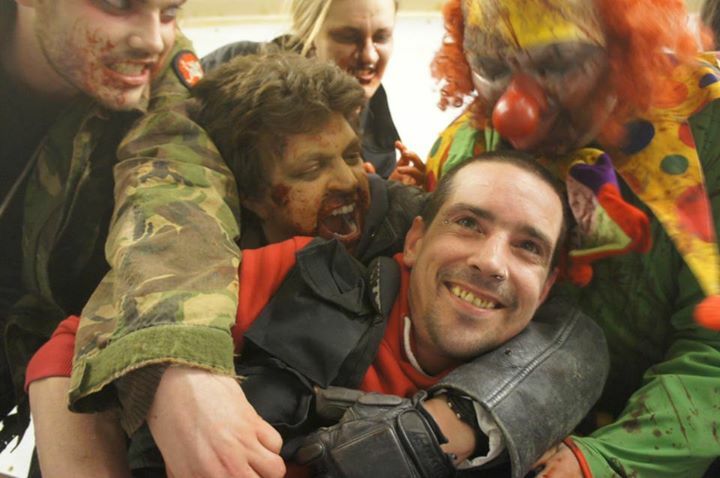 ZED Events based out of Great Britain has created experiences that run year round, far beyond Halloween. Participants are armed with an Airsoft shotgun or pistol equipped with plastic projectiles designed to “kill” the hordes of undead coming after them. ZED has two main locations where their events take place. The first is Zombie Manor located just outside of Manchester in Warrington, Cheshire. An entire abandoned house and surrounding land is used in a three hour fight for survival that requires combatants to be physically fit, be able to go the entire time with no breaks and most likely bring a change of underwear. So let’s just pretend that running and shooting zombies at abandoned locations throughout England is not your cup of tea, but you still need to get your fix? No problem. ZED Events will unleash their gaggle of undead actors on to your birthday party, bachelorette party, corporate office meeting or anywhere where you want that special added surprise for your guests. All of this sound too mamby-pamby for you? 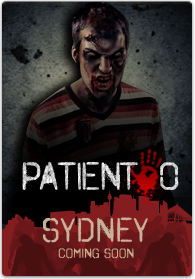 Then Patient 0 in Australia should get your adrenaline pumping. This particular attraction was developed by IRL Shooter, a video game manufacturer. The experience is intimate – only allowing for six guests to go through at one time. Once participants sign up, the team is given a special code which gives them access to a plethora of online information regarding their mission including case files and instructional videos. The more time you take to study up before you arrive to the warehouse set up to look like an abandoned medical facility, the deeper into the story you will go and the more you will get from the experience. Patient 0 takes place in an old warehouse that’s set up to look like a medical facility where the patients just happen to have been infected with a virus that… well… you know. Before gaining access to the game, combatants are suited up with helmets with ear pieces that are connected wirelessly to a central base giving the group instructions. Much like a haunted house, the rooms are extremely dark and filled with fog and strobe effects. If you leave a member of your team behind in the last room, an instructor will tell you that you need to go back and get them – every room has cameras monitoring the entire operation. If you think that sounds hi-tech, the guns are even more impressive. Every gun has a laser sight on it much like a laser tag game. Each time you fire, your gun records whether you fired a hit or a miss. There are also several actors stationed throughout the building that want to talk with you to help you in your mission… or maybe not. You have to determine if they have been infected or not, kill the wrong person and points are deducted from your score. Perhaps the most ingenious part of the game is the targeting system built into the actors hidden in their clothing and makeup. Each actor has six targets on them and each one has a unique point value – hit someone in the leg and you’ll receive lower points. Peg them square in the head and you get the maximum points possible as long as you didn’t just kill one of the good guys from being trigger happy. The actors are equipped with their own earpieces that tell them where they have been hit. If the automated voice says “arm”, they react accordingly. If the system tells them they have been shot in the head – it’s time to die a dramatic zombie death and lie there until the group moves on. 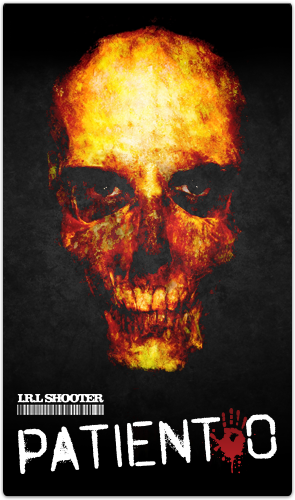 Patient 0 is as close to being in a real live zombie video game as you can get. At the end, shooters learn their score as an individual as well as a team. Once they get back home, they can compare their scores with other teams who have gone through the experience and interact with them to learn how to do better next time… or trash talk as the case may be. The bad news is, for now, Patient 0 is on hiatus until they find a new location in Australia to open up in… but something tells me this is not the last we will hear from the IRL shooter game. So does this sound like something you horror fans or video game junkies would be interested in? Is the experience too intense? Not intense enough? Have any of you reading this tried either of these? I would love to hear your feedback in the comments section. Meanwhile, to keep up with the latest articles here at Theme Park University, like our Facebook page and follow us on Twitter! This entry was posted in Haunts and tagged Halloween Horror Nights, Patient 0, Patient Zero, Resident Evil, Resident Evil The Real, shooter maze, Universal Studios Japan, Zed Events, zombie haunted house, zombie laser tag. Bookmark the permalink. Trackbacks are closed, but you can post a comment.